This planetarium show is totally all that and a bag of chips! Experience music in motion as our planetarium operators fly you through the universe in beat to your favorite throwback jams. Soak in your favorite songs from back in the day as the perfectly blended beats mix with 360-degree psychedelic graphics in an immersive music show you can’t get anywhere else–this is Music Under the Dome. Also enjoy special access to explore our space exhibits and grab yourself a drink when the doors open at 7:00pm. Showtime begins at 8:00pm and runs for approximately 40 minutes. All Music Under the Dome programs are intended for audiences 18+. Valid ID required. 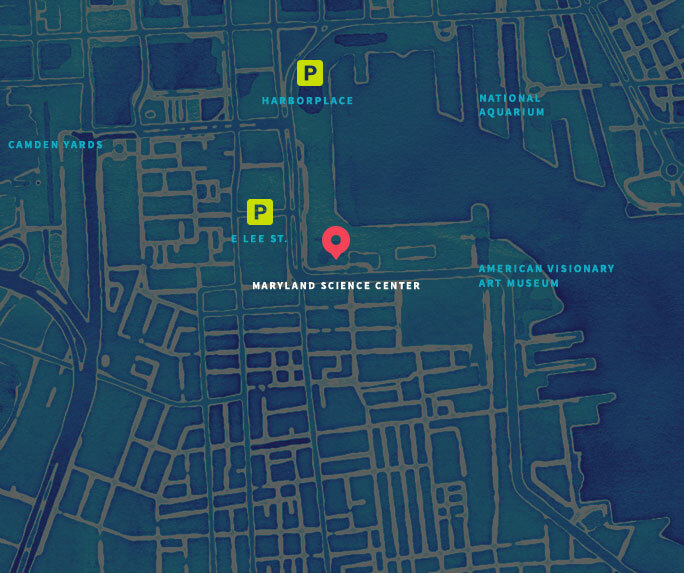 Please enter around the back of the science center through the Key Highway Lobby entrance. Parking is available on a first-come, first-served basis on our Key Highway unattended parking lot.